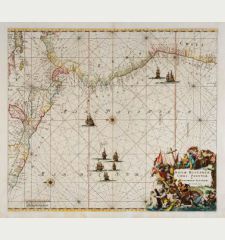 Very large and rare sea chart of Tasmania and the southern part of Australia with the Bass Strait. 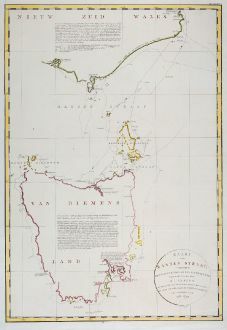 One of the first maps showing the discoveries of George Bass and Matthew Flinders in October 1798 and the existence of a strait between mainland Australia and Van Diemens Land (Tasmania). 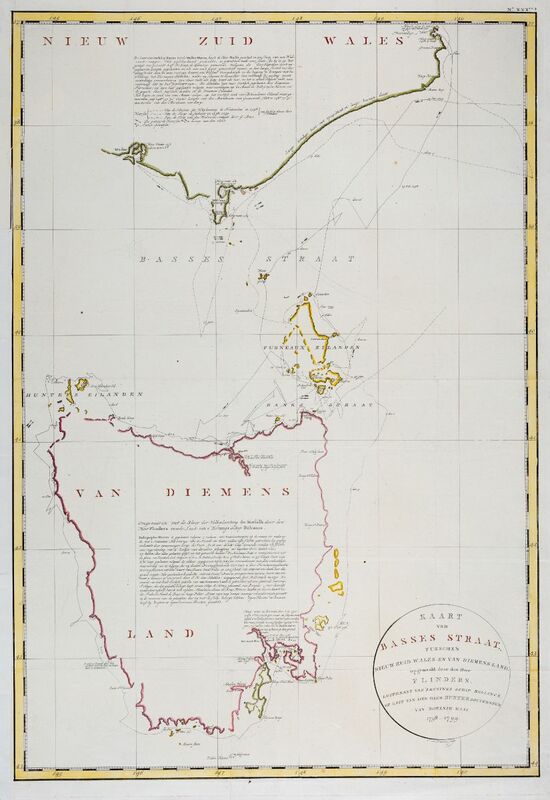 The map was first published by Aaron Arrowsmith with the title A chart of Basses Strait between New South Wales and Van-Diemen's Land surveyed by Lieut. Flinder's in 1800. 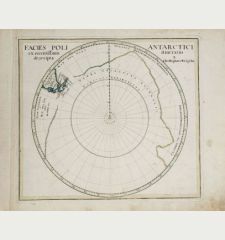 Curiously, this rare chart was later bound to the 14-volume work on James Cook's voyages Reizen Rondom de Waereld door James Cook by Jan David Pasteur, from which this example comes from. A tear in the upper left corner backed. With foldings as published. Very good condition. Matthew Flinders was an English navigator, cartographer and captain. He led the first circumnavigation of Australia from 1802 to 1803. Flinders joined the Royal Navy in 1789 and sailed with Captain William Bligh on the Providence to the Pacific. 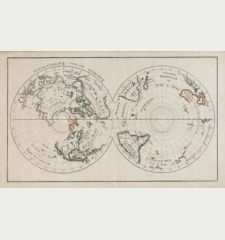 Together with the naval doctor George Bass he explored the islands at the east entrance of the Bass Strait in 1798, crossed the Strait named after Bass and circumnavigated Tasmania (former Van Diemen's Land). On an expedition in 1801 with his ship Investigator he discovered Spencer-Golf and St. Vincent-Golf. Flinders died in 1814 and was buried at the cemetery St James's Garden in London. His grave was rediscovered during excavations related to the construction of a railway line in 2019. 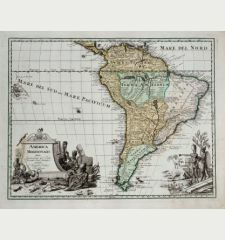 Matthew Flinders: Kaart van Basses Straat, tusschen Nieuw Zuid Wales en Van Diemens-Land ... Heer Flinders ... 1798-1799.